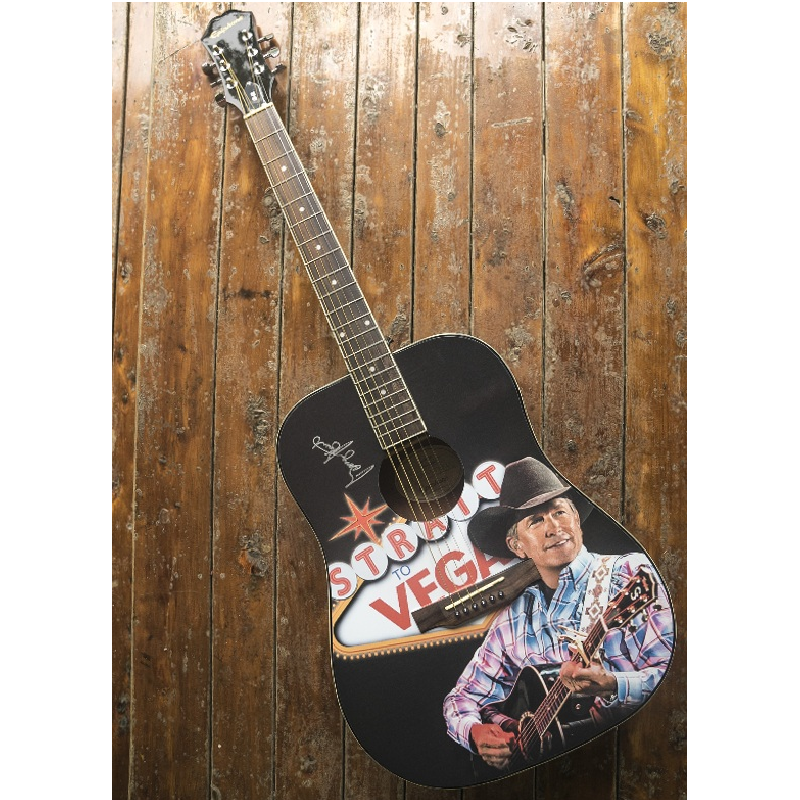 Authentic autographed George Strait Guitar! Limited edition Epiphone custom wrapped acoustic guitar authentic, personally signed by George! Ebony with chrome hardware. Limited quantity...you don't want to miss this opportunity to display this in your home office, living room or media room!